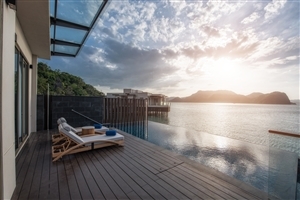 Situated alongside the splendour of the island of Langkawi, the St Regis Langkawi occupies a beautiful cove at the southern tip which contains the largest swimmable lagoon in the region, making this a haven of insurmountable beauty. 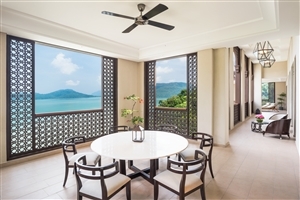 Designed with traditional Moorish architecture that compliments the lavish furnishings, spacious settings and utopian landscape around it, the resort stands out as a haven of luxury for all to enjoy during their time along Andaman Sea. Take in the sights of soft, white sands, ebbing azure tides and year-round sunshine while enjoying all the comfort, style and service of this true paradise. 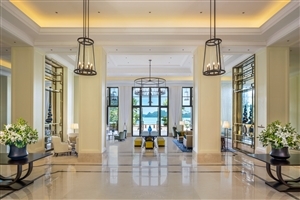 Located in a beautiful cove on the southernmost tip of one of Langkawi’s 104 islands, the St Regis Langkawi sits idly embraced by the beauty and splendour of one of the most beautiful settings in the Andaman Sea. Intricately designed with Moorish textures and tones, the resort epitomises luxury in every facet of its design, ensuring even the most discerning are impressed. Settle back upon the soft sands of the island, marvel at the views from your private accommodation or make use of the numerous facilities on offer at this heavenly escape for an unforgettable time. 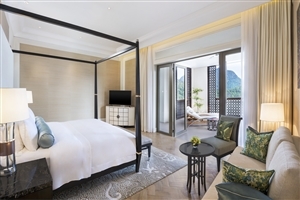 The Premier Rainforest Room offers guests 47sqm of accommodation space intricately designed with plush furnishings and modern amenities throughout. The room boasts of gorgeous views of the rainforest for an enhanced occasion. 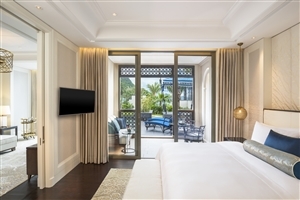 The Premier Andaman Sea Room offers guests 62sqm of accommodation space intricately designed with plush furnishings and modern amenities throughout. 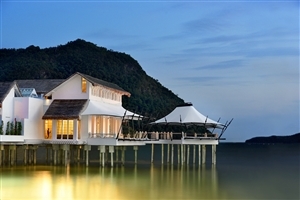 The room boasts of gorgeous views of the Andaman Sea and can come in a twin bed configuration. 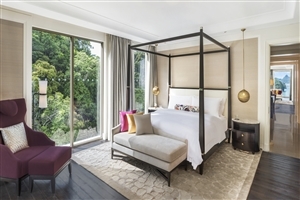 The St Regis Suite offers guests 70-90sqm of accommodation space elegantly furnished with plenty of comforts to coincide with the commodities that fill out the private space. The suite features a private terrace and can come in a twin bed configuration. 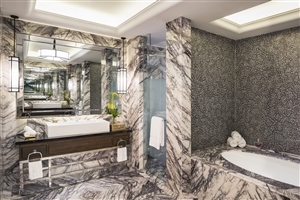 The St Regis Pool Suite offers guests 70-90sqm of accommodation space elegantly furnished with plenty of comforts to coincide with the commodities that fill out the private space. 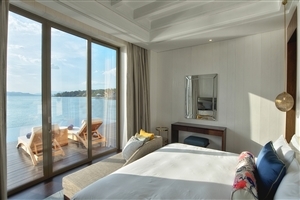 The suite features a private terrace, a personal swimming pool and can come in a twin bed configuration. The Penthouse Suite offers guests 110sqm of accommodation space beautifully fitted with an abundance of comforts and commodities to ensure traveller satisfaction through and through. The suite features a private terrace and its location provides beautiful views of the surrounding area. The Panoramic Suite offers guests 170sqm of accommodation space that brings gorgeous views and plush comforts together to entice even the most discerning of travellers. The suite features a private terrace that showcases undeterred, panoramic views of the surrounding area. The Presidential Suite offers guests 262sqm of accommodation space that sets the tone for what luxury truly means, boasting numerous plush furnishings, stylish decor and enough amenities to satisfy every traveller’s needs. 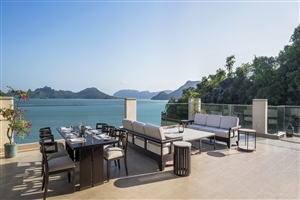 The suite features a private terrace that boasts of unforgettable views. 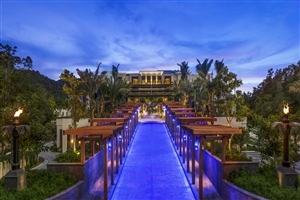 The Sunset Villa offers guests 100sqm of accommodation space situated over water to provide a unique setting for a memorable holiday experience. The villa features a private infinity pool to further enhance the occasion. The Sunset Royal Villa offers guests 700sqm of accommodation space that stands as a private palace situated over water to bring guests closer to the beauty of the area than ever before. 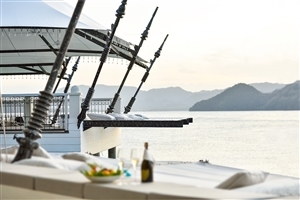 Kayuputi – Enjoy speciality dishes served at this over-water eatery. 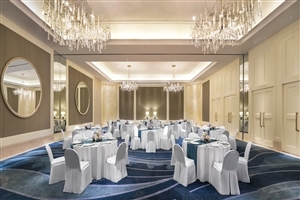 L’Orangerie – Choose from a variety of dishes at this signature restaurant. Gourmand Deli – Satiate your hunger with a snack from this deli. Decanter – Select your favourite wine at this charming wine bar. St Regis Bar – Sit back and enjoy the peace of this bar venue.